Jamie Chung, Bryan Greenberg, Richard Woo et al. In this sparkling romance, Ruby (Jamie Chung), a Chinese American toy designer from LA, visits Hong Kong for the first time on business. 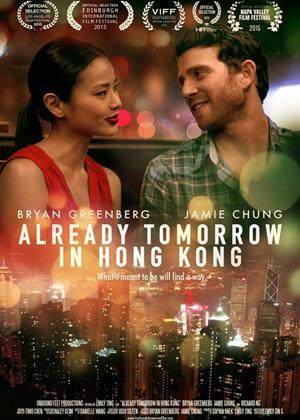 Finding herself stranded, she meets Josh (Bryan Greenberg), an American expat who shows her the city. Meandering through nighttime streets pulsing with energy and possibility, they fall into a winding and carefree conversation, buoyed by an undeniable attraction. As effervescent as a perfect first date, Emily Ting's charming directorial debut takes full advantage of the chemistry of its leads, the playfulness of their exchanges, and the magical landscape that is Hong Kong at night.